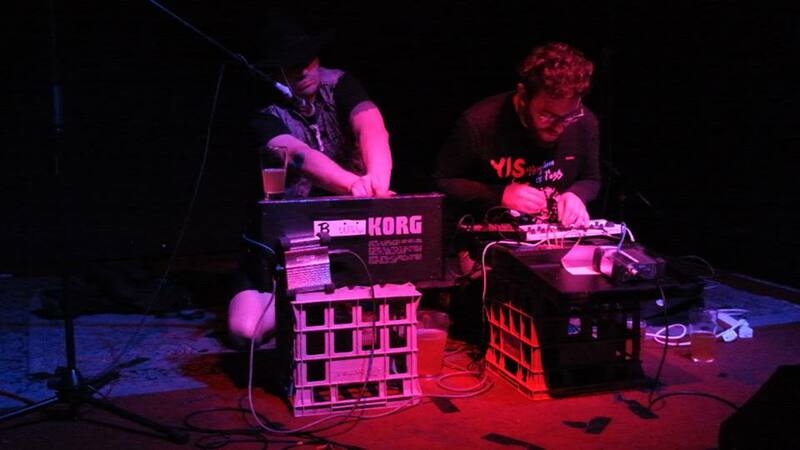 Italianz are the Melbourne duo of Ben Taylor (Ebola Disco, Chrome Dome) and Rob Curelli. There’s not much information available about them online, which gives an accidental mystique to the band that suits them. For Italianz, there seems to be as many weirdo noise elements as there are more direct song-writing and dance aesthetics. I’d hazard a guess that it’d be hard to know what to expect of a live show. Describing his band in a recent email, Taylor said Italianz had: “No real boundaries. Just a bunch of Saturdays.” The embedded digital version of their cassette released back in April reflects this. A playfulness is present, but the sordid exists just as often. If it was recorded every Saturday it takes on the various moods that can ravage a weekend. Like a casual Saturday night bender that gradually loses its innocence as the pleasant bars close and you’re driven to seedier territories by necessity. Italianz are due to release a new 120 min cassette imminently on Magic Crowbar. hay as u can see from the italianzz band camp ~ this release is available on C-22 cassingle from Rubera Records for $5AUD PPD w/in Aust.